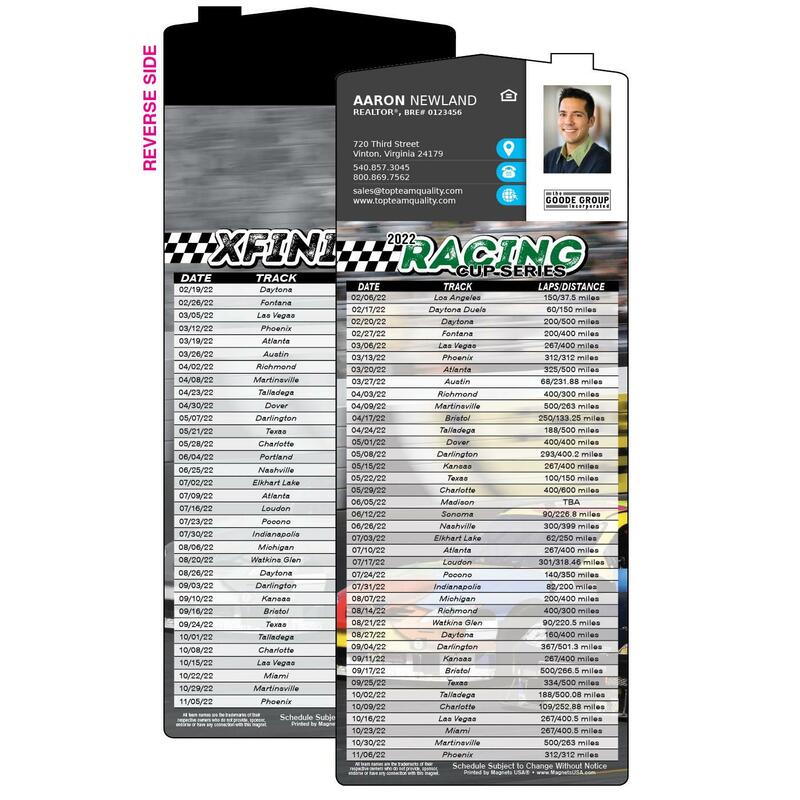 Stock car racing is gaining more and more fans every year. 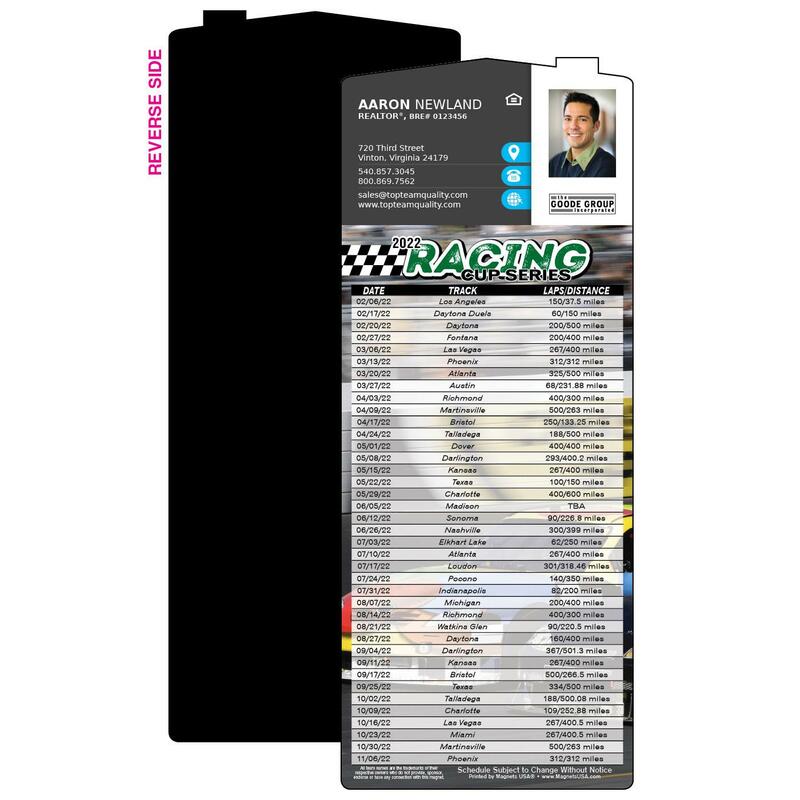 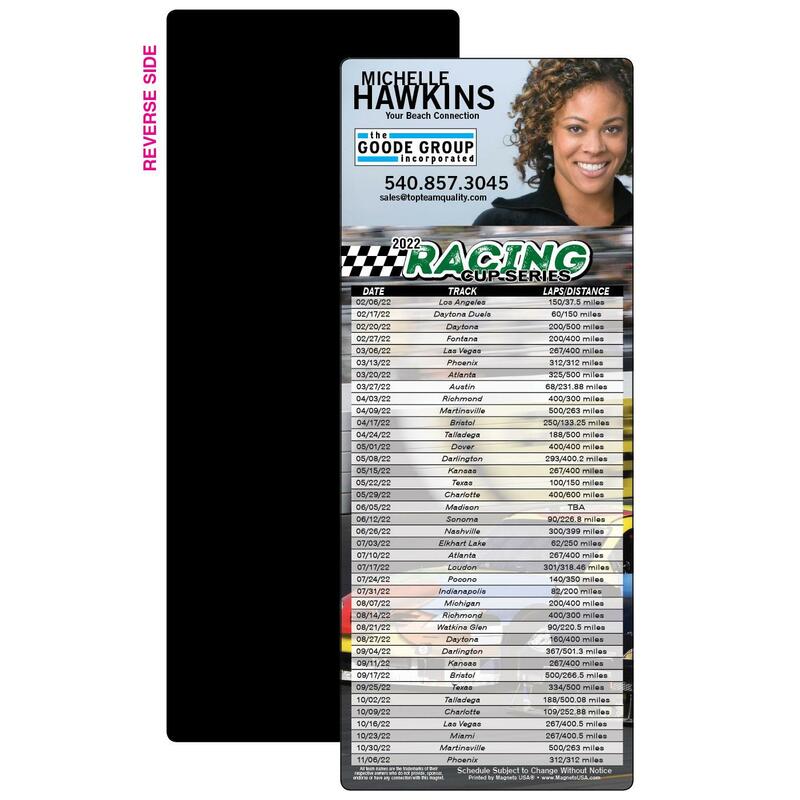 With a season that runs February through November, Racing Schedule Magnets offer you an opportunity to market 10 months out of the year for one low price. 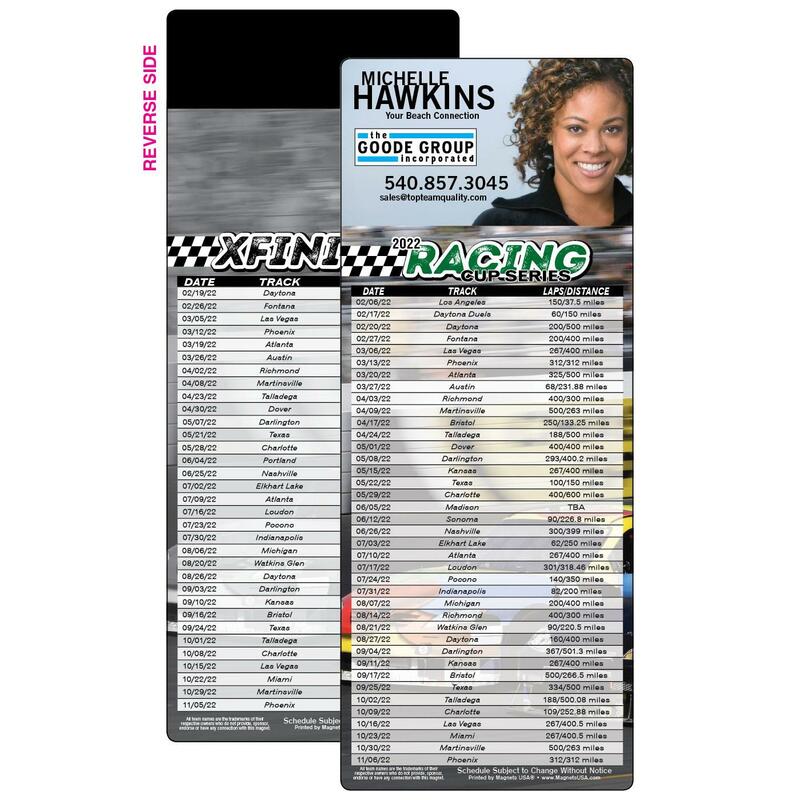 Hurry, before the competition laps you.